Kiss My Boots is book two in the Coming Home series. You can read as a standalone, but it is much better read in the order the author intended. Kiss My Boots is a second chance romance between the baby of the Davis family, Quinn, and her first love, Tate Montgomery. Tate and Quinn became friends after spending every summer with her at his grandparents’ house. There was an unmistakable chemistry between them even as teenagers. Tate is forced to leave Quinn and go off to college. Quinn never expected that summer to be the last one they spent together. 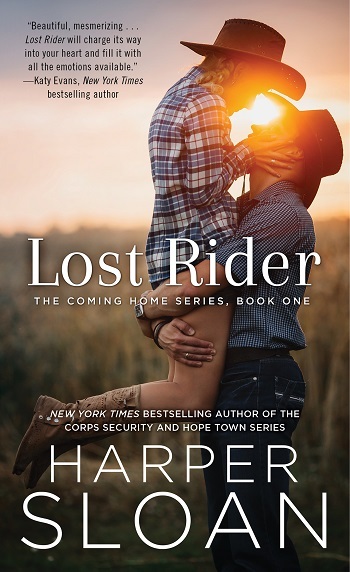 Seeing Tate come back to town was the last thing she expected. She still has anger over him being gone for nine years, but her heart remembers his like it was yesterday. I love the Davis family. They are wild but loving and protective of each other in the most basic of ways. I can't wait to see where Clay's book goes. He's the most closed off of the bunch. I can't wait to see how love changes him. 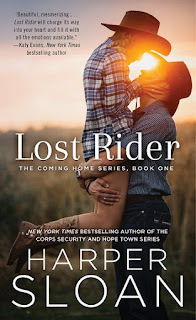 This is the second book in the series, and could be read as a standalone, but is richer for having met the Davis family in Lost Rider. I rather like that we have Quinn next, as her big brothers need to give her chance, even their protective genes are in overdrive. That said, after Tate left and hurt her, it is not surprising that he has to make amends before there is a chance of love again. Cue tears, laughter, and just the loveliest romantic story of a second chance that really deserves to work. Thankfully Quinn is forgiving, but she is no pushover, which makes for a stronger story, and a more equal relationship, which feels important. It is fun to catch up with Maverick and Leighton, and their plans for the future – and we have the promise of Clay and his chance to make good too. Ms. Sloan has an exceptional talent for not just bringing characters to life, but for putting the reader right there in the room, laughing, crying, and loving alongside them all. It makes for a much more immersive and irresistible experience – just be warned that sleep will be denied as you want to keep turning the page, so make sure you start this at a time when you won't be distracted – an out of office sign might be handy! Quinn and Tate fell in love as teens and have been apart for nine years. The story is dual point of view, so we know what each of them are doing in the now and they still long for each other. This sets the scene for an epic reunion. Unfortunately the story missed the mark a little. I wanted Tate to have to work harder than he did to get back in everyone's good graces. There isn't a great deal of drama or action in their romance or their lives and at times I was bored. I was waiting for something exciting to happen. The high number internal monologues musing over the same topic each time didn't help the story either. But this book has positives. Quinn and Tate have great chemistry and a strong bond. I like the small town feel and I was happy to see Leighton and Maverick again. The highlights of the story are a couple of fun scenes in Tate's office and the epilogue is pretty good too. I enjoyed Kiss My Boots, but it didn't blow me away like I'd hoped. 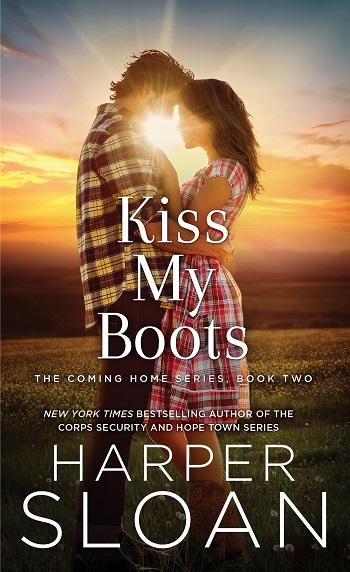 Reviewers on the Wicked Reads Review Team were provided a free copy of Kiss My Boots (Coming Home #2) by Harper Sloan to read and review.